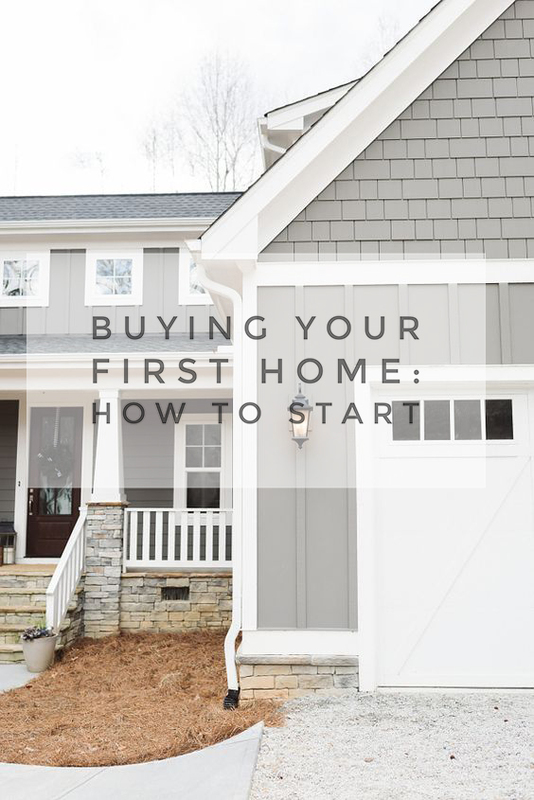 Buying or Building Your First Home: How to Start — shelbey w.
For most people, becoming a first-time home buyer is a huge goal. For me, personally, I started thinking about having my own home as soon as I hit college while experiencing the tight spaced studio and 1 bedroom apartments I called home for 4 years. Fast forward to now, we are finally making that dream a reality! For a long time, we had the misconception that there would be NO WAY we'd qualify to buy a new home, much less build one. After digging around and talking with the right people, it seems we may have been more ready than we had initially thought. I think a lot of first time homebuyers (especially in their 20's) think it's a goal that is meant for later in life. A lot of people are just nervous to make the first steps that come with buying a home - I know we were! That's why I'm here today to share some steps we took to start making our home buying (now building) dream, become a reality! Saving 1 Total Income: If you are planning on buying a home with your partner or spouse, this can be a huge advantage for a saving opportunity. Will and I decided that we would put back my monthly income into a savings fund for our down payment and use his income for monthly necessities. This was a huge driving force for us because we were able to save more in a shorter amount of time. By the time we were ready to talk with a lender, we had already saved up a basic down payment. Decide How Much YOU Can Afford: Knowing how much you'll be able to spend monthly on a home will help your lender map out a better estimate for you. Sometimes, people are qualified for more money than what they can actually afford monthly. I'd definitely recommend figuring out your number first, then relaying that to your lender so it's clear you don't want to go over that number. Research Different Financial Institutions: Just because you go to one bank or financial institute, doesn't mean you have to commit to them. Will and I actually went to two different places to see which financial institute would be the best for us. We went to a local bank first, then moved on to an actual mortgage company. We felt more confident with the mortgage company in the end because they really explained each and every loan option available to us and advised on what would be more beneficial in the long run. They also gave better rates which is really important to pay attention to. I'd definitely recommend going to at least a couple of places to find your best loan option. Find a Realtor or Home Builder: Like I said, Will and I went out looking for homes with a realtor before we were even pre-approved for a loan (I'm sure she hated us for that - but we had no clue what we were doing). After we found out what we qualified for, we really started looking seriously for homes in our area. Unfortunately, nothing piqued our interest. My previous boss from my college job happened to be a contractor and asked us if we'd be interested in building a home. Building a home would have been our number one choice but we just assumed it would be "too much" for us financially and for times-sake. After touring a few of their homes and going over what we wanted, turns out, it was even better than buying a home in our area. We could get a brand new home for the same price our realtor was sending us on homes that were 5-10+ years old. We jumped on the opportunity a few months ago and our home is in the beginning stages of being built now! Everyone's experience will be different depending on your state, country, regulations, financial institutions, credit history, employment history, and many more factors. The best advice I can give you is to just go talk with someone! A good mortgage lender will want to help you as much as possible and make you feel comfortable about your decision. Keep in mind that many states offer first-time home buyer programs that may not even require you to have a down payment. There are several different options out there - explore them all! I hope this gave you a bit of insight on what our process looked like for us. It takes time and patience but if you're serious about being a homeowner then you'll put the effort into it! Let me know if you have any questions! Obviously I am no professional, but I find personal stories and experiences can help people move in a direction they've been considering. Good luck!